When the Wonder Woman television series debuted in 1975 featuring Lynda Carter and her signature cuffs, in reality the bold bracelet style was probably at its peak of popularity. 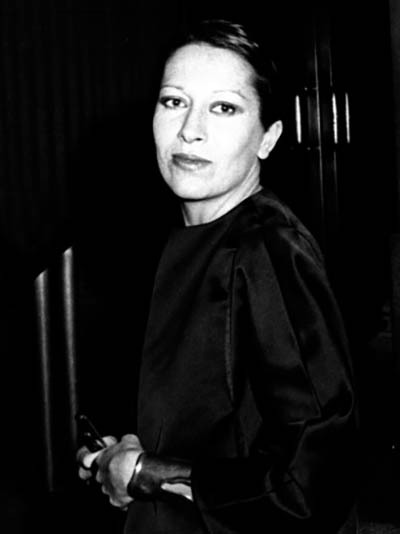 The cuff silhouette worked perfectly with the sleek slacks and minimalist dresses of the period, but it also reflected a new found strength in women’s attitude and the fight for equal rights. I don’t think it’s a coincidence that the Wonder Woman movie starring the divine Gal Gadot is coinciding with a cuff revival and the reenergized Women’s Movement. The bold style, that literally can be traced back to the dawn of civilization, has always created an empowering look. Patty Jenkins, the awesome director of the new Wonder Woman, wore two gold cuffs on one wrist in a boss manner to the June 2 premiere of her blockbuster film. 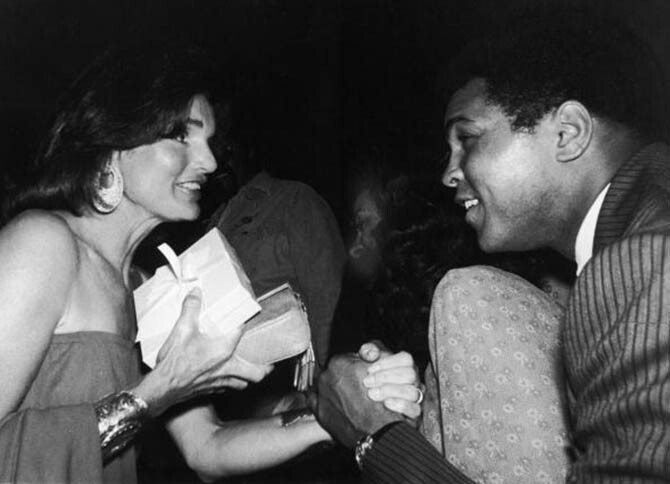 The style she sported is one of the most popular and enduring cuffs in the history of jewelry. 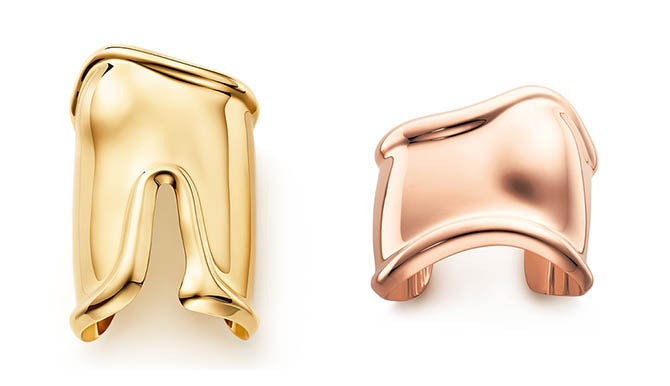 Designed for Tiffany by Elsa Peretti, who is a total Amazon, the Bone cuffs were originally created in the early 1970s and they have been made ever since. Today, the jewels are executed in the original silver as well as yellow gold, copper covered in black and the new rose gold. 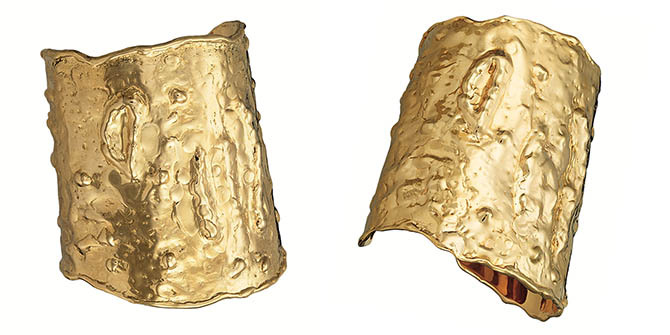 Jackie Kennedy had a sensational pair of gold cuffs made by Van Cleef & Arpels in the 1970s. The textured metal was modeled after the cratered surface of the moon and made in honor of the Apollo space program. Van Cleef still does renditions of the seventies design. 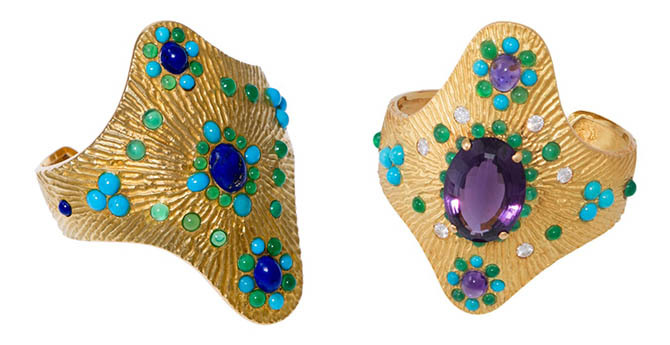 Boucheron made spectacular gold cuffs accented with semiprecious stones in the 1970s. The quatrefoil silhouette of the designs below from the Mahnaz Collection imbues a super heroine vibe. 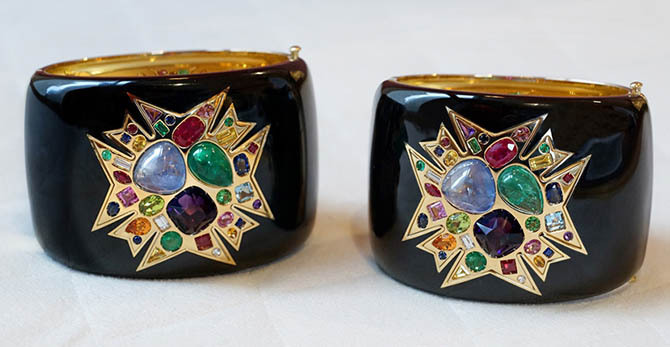 Going back a bit further in history, around 1930, designer Fulco di Verdura made a pair of Maltese cross cuffs for one of the strongest willed women in fashion, Coco Chanel. The iconic jewels have been recreated in any number of variations by Verdura for decades. 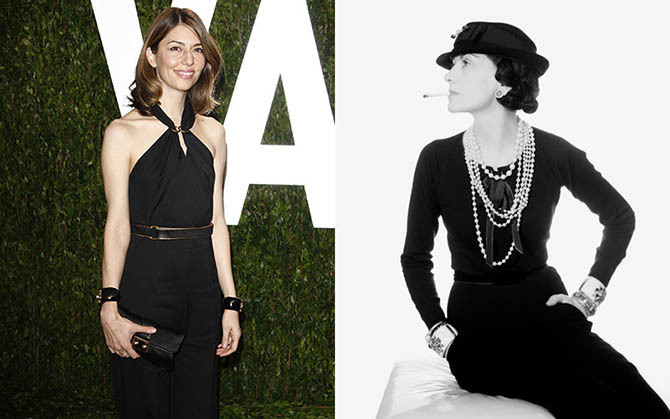 Director Sofia Coppola is one of many women who have them in their jewelry box. Today, several imaginative designers are making cuffs. Judy Geib has done them upon occasion. Silvia Furmanovich has added them to her Marquetry Collection. 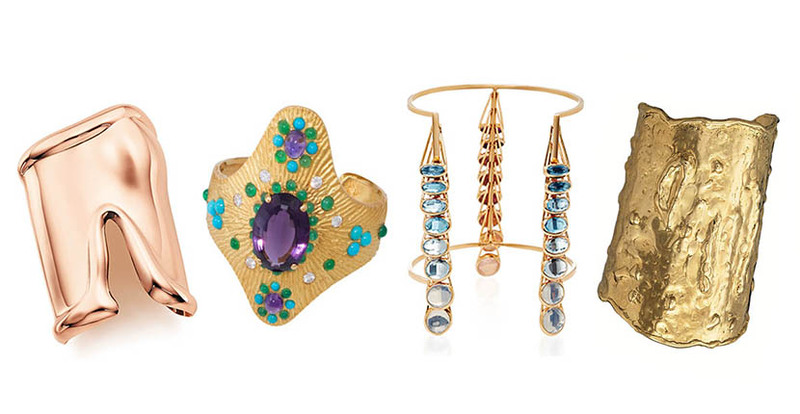 New designer Nancy Newberg has a few and so does French designer Marie Mas. 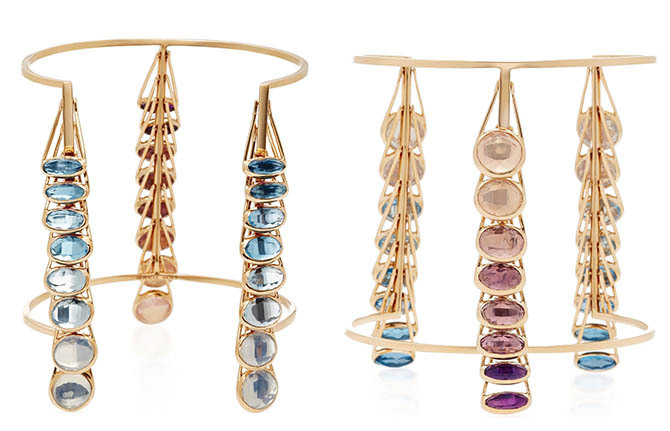 A former member of the Dior jewelry design team, Marie’s debut collection, available at Moda Operandi, features cuffs with swinging stones. The gems on the graphic jewels move to reveal different colors of gems in each of the apparatus. While the new jewelry has yet to be spotted on a celebrity one imagines it won’t be long till a risk-taking style star puts them on. 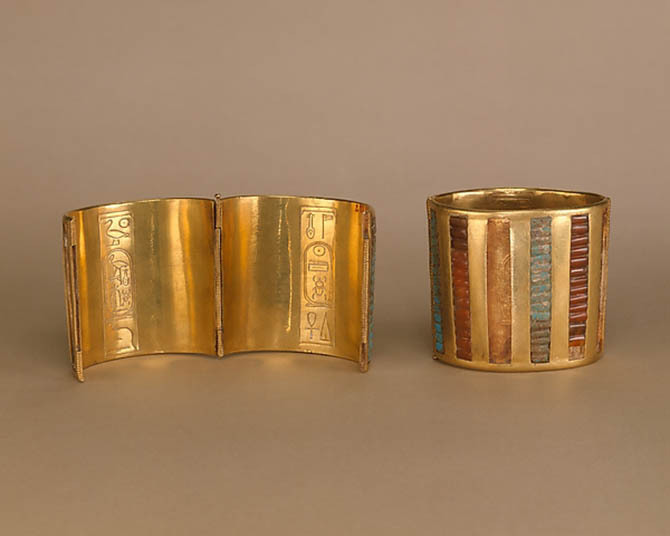 Now, if you are wondering, after seeing these contemporary cuffs, what historical pieces looked like. The form, remarkably hasn’t changed that much. Below is a gold, turquoise, carnelian and glass example from ancient Egypt, circa 1479-1425 BC. Each is inscribed on the inner surface with the cartouches and epithets of Thutmose III suggesting that they were a gift of the king. I feel certain the woman who wore these jewels was a Wonder Woman.